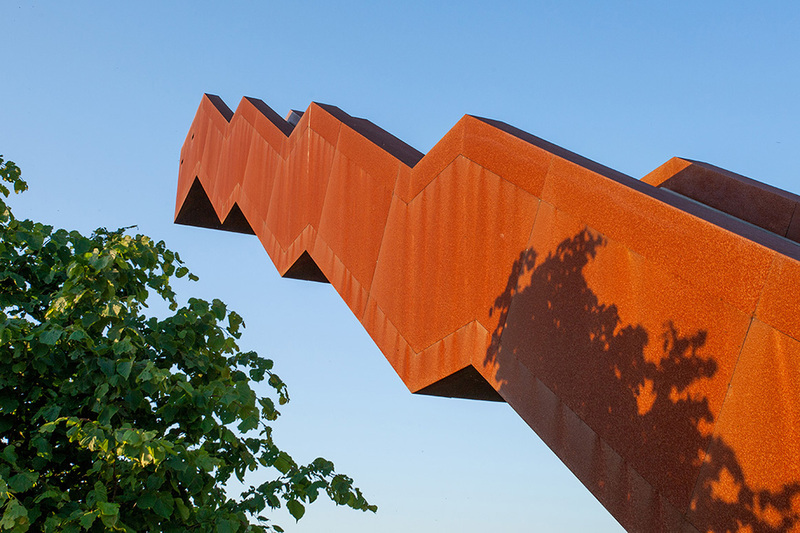 An eye-catching staircase tower brings a fresh piece of landscape architecture to the Flemish Brabant municipality of Tielt-Winge in Belgium. 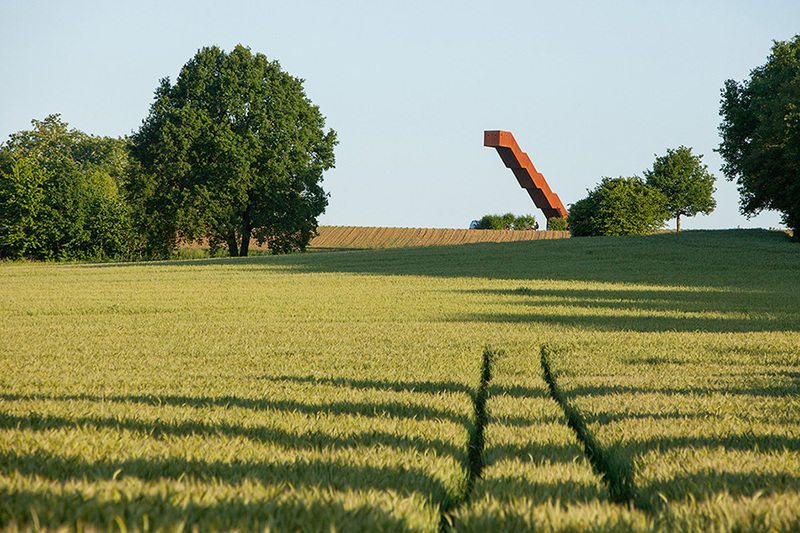 Floating high above the famous Kabouterbos - fairy tale forest - this steel monument appears somewhat like a caterpillar peering across the fields. 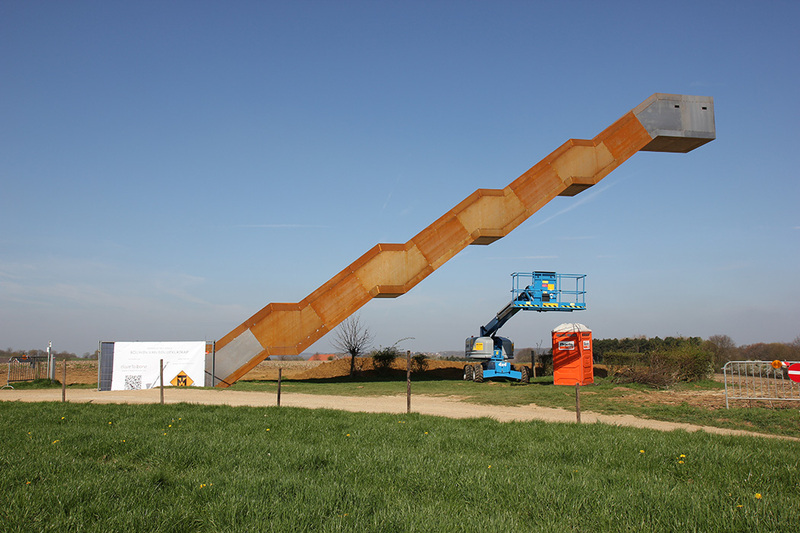 The original Tielt stairway tower was just 4m in height. Time-weathered and a subject of vandalism, the final straw came when it became unsalvageable after being set alight by vandals. 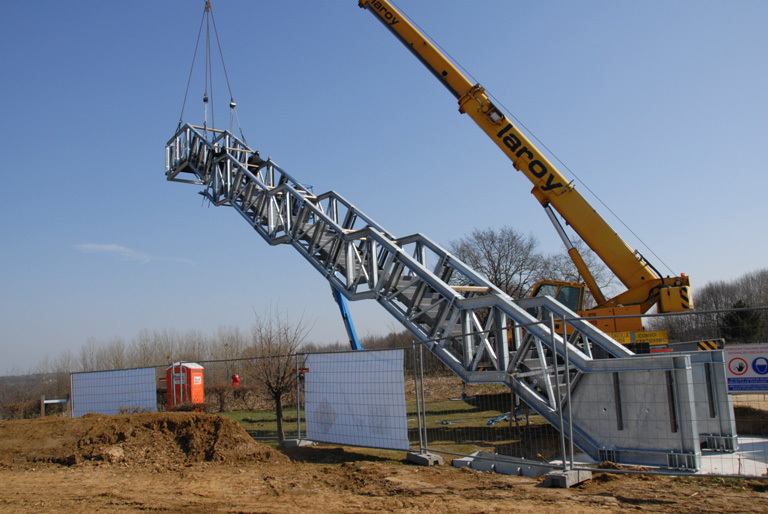 Subsequently requirements were set by the municipality to ensure the new tower did not face the same outcome. 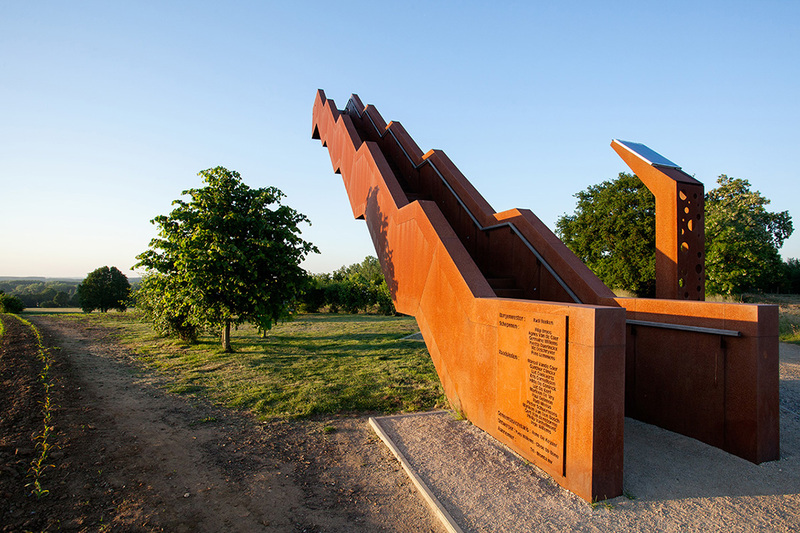 Vlooyberg Tower would be at least 10m high, include a shelter and built entirely from metal to make it resistant from any form of vandalism. Engineering studio Close to Bone fulfilled the specifications with this 10.08m high tower (add 1.20m for the railing wall). 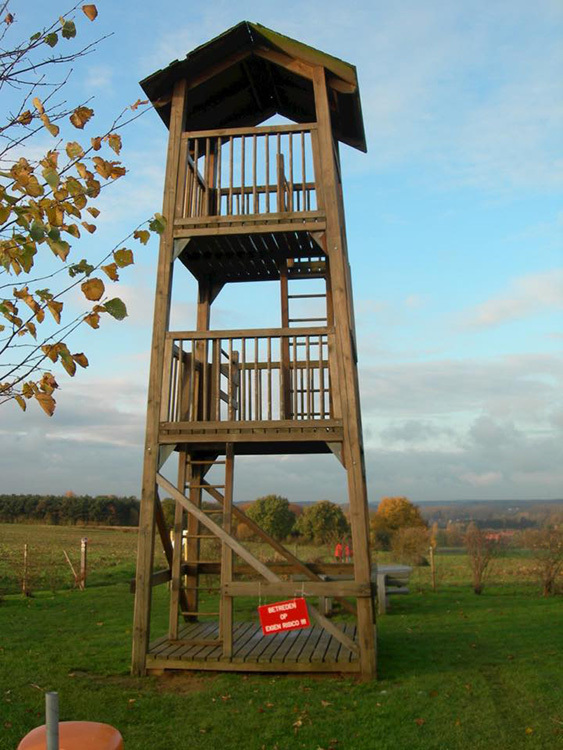 Built from steel and clad with weathering steel, the tower won't be at risk to any more arsonist vandals. Close to Bone pushed the design further by veering away from a traditional spiral staircase and towards a distinctive 'horizontal' design. Close to Bone commented on the project saying it was, 'a war against its own weight', and manually calculated the forces acting in each element to ensure the structure would be exact - strong enough and not sag. The tower starts with large, heavy and strong structures and transitions to small, light and slender to provide this balance. 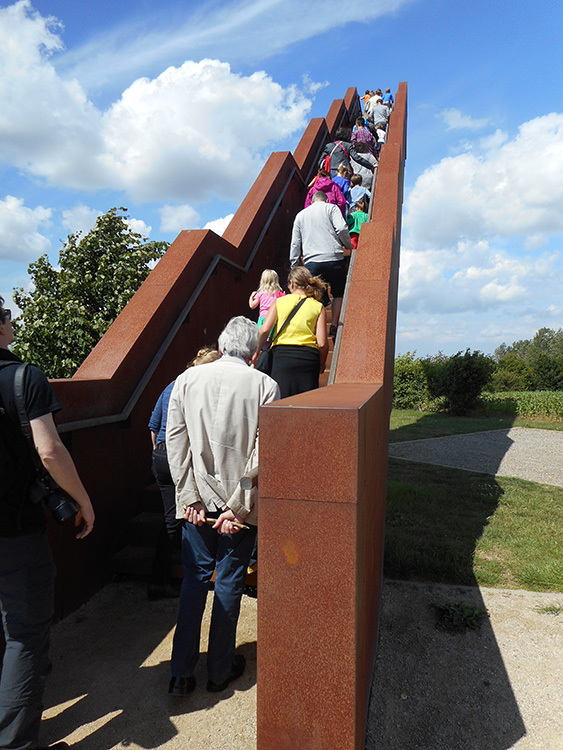 Further reinforcement is sought through the railing wall to mimic a structural beam, while two vibration dampers prevent the stairway from beginning to vibrate underfoot. 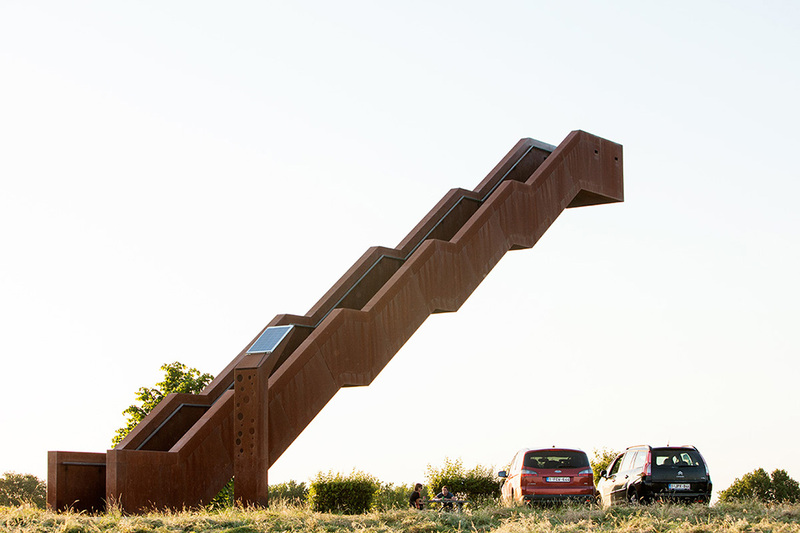 Simply in it design but unique in its own right, the new Vlooyberg Tower is a popular monument among locals and passers-by.